This is a fun recycling craft for kids as they get to decorate the house with old CDs that are lying around and make huge, pretty flowers. The kids might need a bit of help from dad with the glue gun, but if dad can't help, use Bostik silicone glue. 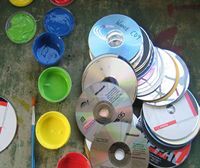 Collect all the old CDs and/or DVDs that are no longer in use.  Make sure they are old and that no one needs them before recycling them! We are going to take 5 CDs to recycle and lay them bottom side up onto the table. 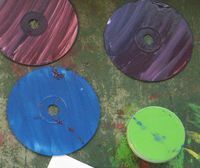 Paint the 5 CDs in the colour of your flower petals, we going to paint on the bottom of the CD as the coverage and uniformity are much better, you also get a nice reflective colour. 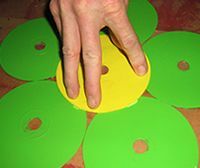 Paint all 5 of your petal CDs. 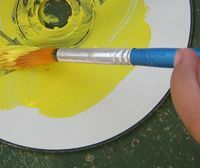 Then in a contrasting colour paint one CD for the middle of your flower. 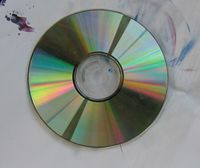 Leave your CDs to dry for at least two hours and then paint them again. As most of us are going to be using our flowers to decorate the outside garden walls, we recommend painting them with at least three layers of modge podge or hard varnish to protect them. Once the glue gun has warmed up and the glue is ready, start with the first petal and put some glue near the bottom of the petal, one nice big blob will do. Now glue all the other petals in the same way, making sure you work quickly as glue from a glue gun sets when it gets cold. 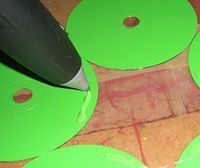 Once all the petals have glue on them you can stick your centre CD onto all the blobs of glue and this will keep them all together. Leave the flower to dry for at least an hour. The best way to hang up your flower is to knock a concrete nail into the wall and slip the centre CD with the hole in it over the nail.